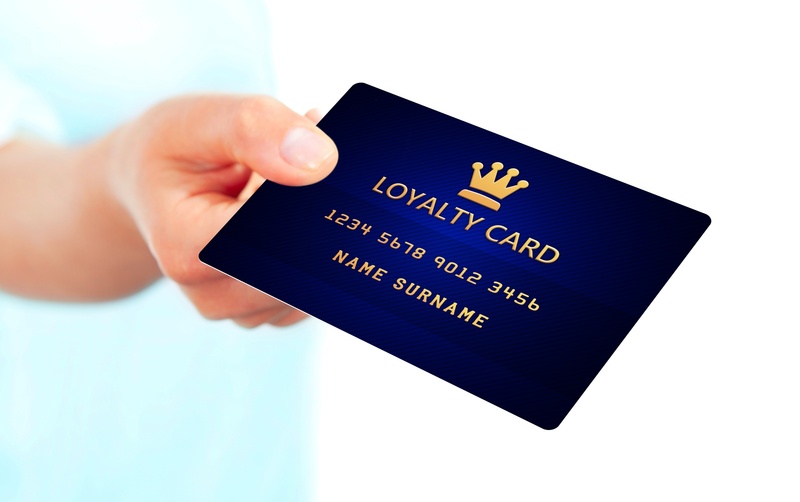 If you love Nordstrom (or Target, Starbucks, etc), being a loyal customer has lots of benefits. Retailing in the 21st century is oversaturated, so many similar brands create a bidding war for consumers. And loyal consumers win the most: discounts, perks, events, you name it–they all await the customer willing to channel more spending toward one brand. That mentality is so ingrained, it’s easy to think it’s true with your legal information vendors. Sadly, it’s the opposite. The key difference, of course, is that legal information isn’t really a marketplace at all, and the benefits of open competition don’t apply. Stick with Westlaw and/or Lexis long enough, and chances are you’ll be getting among the worst value. In legal information the best deals and offers are reserved for new customers. And who’s funding those great deals? Loyal customers like you. The new customer is their preferred customer. Loyal customers just pay for it. A product has been commoditized when there is no unique value that distinguishes it from competitors. More simply put, a commodity is a product that can be substituted by another. Made by different companies, commodity products are similar in quality and results and are viewed as essentially interchangeable. Even once-innovative products and services ultimately find themselves on the path to commoditization as they mature. Fierce competition motivates products to adopt their rival’s successful features, and therefore become more similar. While there may be preference for one or another, just like that of Coke and Pepsi, unique product benefits become less obvious. In the world of legal information, Westlaw and Lexis have been and remain the market leaders. Until recently, midsize and large law firms universally believed that Westlaw and Lexis were complementary products. Each vendor had enough demonstrable unique content to support the notion that firms should retain contracts with both, particularly firms with diverse practice groups. Over time, more firms began eliminating either Westlaw or Lexis, and the sole-provider trend emerged. Today, the percentage of large law firms with just one of these two providers is essentially 50%. The proverbial genie is out of the bottle. The market is demonstrating with its actions that Westlaw and Lexis are rapidly becoming interchangeable. Eliminating a vendor creates a great opportunity for firms to free up a large amount of resources and to enhance their legal information infrastructure with new products. To quantify the extent and motivation behind the sole-provider trend, Feit Consulting conducted a comprehensive analysis of the entire large law firm market. This report concludes that Westlaw and Lexis are no longer complementary products. Rather, the retention of both of these vendors is an unnecessary luxury that most firms should forego. To learn more about about this white paper or the Market Trends Series, click here. There are four stages in the product life cycle: Introduction, Growth, Maturity, and Decline. As a product or service evolves over its life cycle, so does its business strategies. Feit Consulting’s recent report, Path to Commoditization, depicts how Lexis and Westlaw have progressed through their respective life cycles and the corresponding impact on pricing strategies. It examines the various strategies and tactics deployed by the vendors at each different stage. 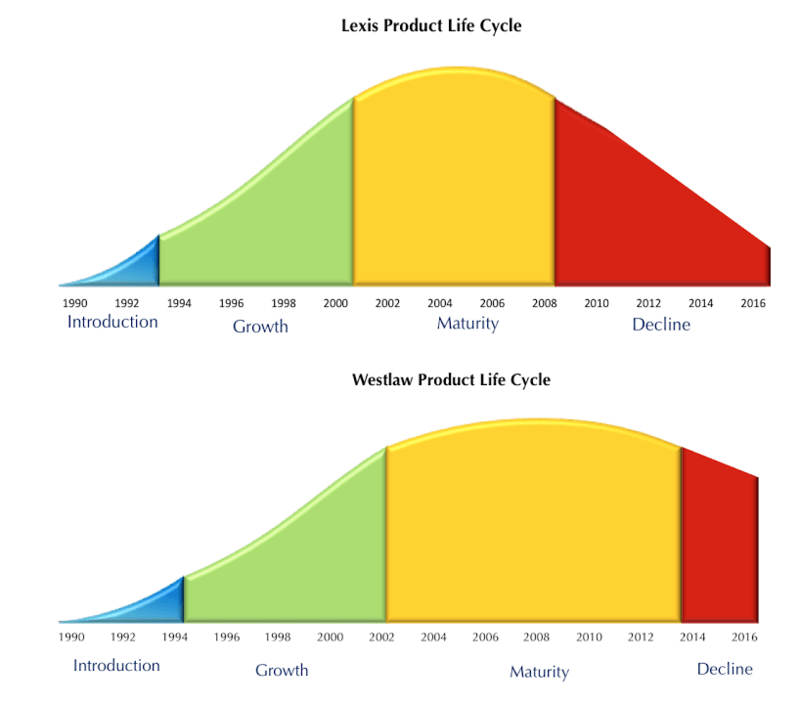 The charts above illustrate Feit Consulting’s respective representations of Lexis and Westlaw, in relation to the timeline of their product life cycles since 1990. More information about this report is available here. Limited time offer: 35% off the Westlaw & Lexis: Path to Commoditization report. Use discount code PATH35 when ordering. The sole-provider option is more than a cost-cutting exercise. Exploration of the sole-provider option shows firms how to pivot to a modern legal information model. Old traditions, such as passing through legal research costs and retaining both Lexis and Westlaw, are no longer the norm. A holistic evaluation of your firm’s current legal information utilization and anticipated future needs will allow you to fully understand whether or not retaining both Lexis and Westlaw still makes sense. Examine what information is actually being used, by whom, and how. 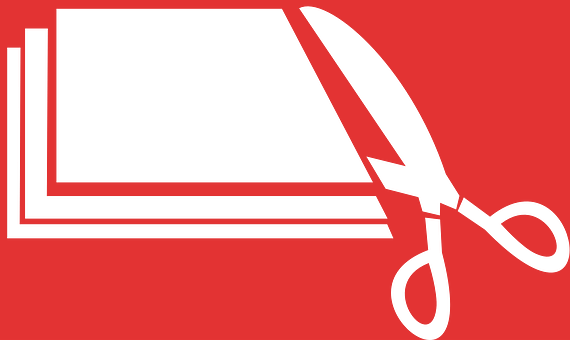 Today, roughly 25% of large law firms have unfavorable legal information contracts. Lexis and Westlaw have infiltrated their clients’ culture and infrastructure after so many years of service. This makes the process of vendor elimination or flipping vendors complicated/excruciating for larger firms. Firms that make the decision to go sole-provider and successfully execute will enjoy the benefits of savings, simplified work processes, elimination of redundancies, new complementary products, and an improved vendor relationship. Click here for more information on Feit Consulting’s upcoming report, The Sole Provider Playbook.